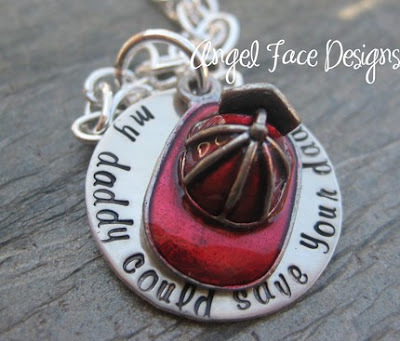 "I started Angel Face Designs to give myself a creative outlet while staying home with my young daughter, Leila. I'd been given a handstamped name piece as a gift and loved it. One day I was just staring at it, and I thought I could probably figure out how to do it myself. I ordered some supplies and starting working on it. I started selling to friends, and friends of friends and after about the hundredth person asked for a card or a website I decided to set up my little Etsy shop. My "I love you to the moon and back" necklaces was one of my first ever. It was inspired by one of my daughter's favorite nighttime stories, "Guess How Much I Love You" and it continues to be one of my best sellers. I am so appreciative to my customers who continue to amaze me with their kindness and inspiration. I love doing what I do!" Heather would live on my street. New Kids on the Block together. Then we would blog and have great giveaways. how about a great giveaway anyway? Heather is giving away your choice of item from her shop. Come back here and tell me your fave item. 5. Call someone (on the phone) out of the blue. Just to tell them they are awesome. Entries will close at noon on Friday July 31st. am I supposed to leave separate comments for each one? Oh well I am anyway. Following!! I love the "you are my sunshine" charm! That's a special song for my daughters and me! Great giveaway! I love the preschool rocks one with ABC, although I would just like school rocks cause I don't know what grade I will teach. I also like the dog paw print one a lot. I actually like all of them...haha. I like the names around a heart, it's simple and sweet! Wow! How generous of her! I love her stuff, especially the names around a heart necklace. So pretty! What sweet jewelry! My fave is the Pet lovers charm bracelet. the "Love You to the Moon and Back" necklace! I commented on her soap giveaway post also. My favorite piece is the You Are My Sunshine necklace. That was one of Robbie's first songs that he learned to sing and I still love it! Thanks for the giveaway! 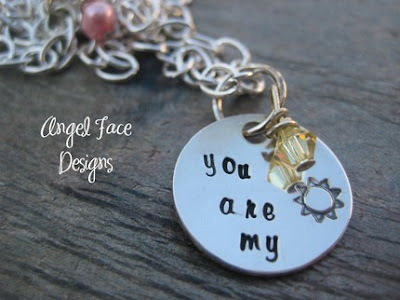 I love the 'You Are My Sunshine' necklace! Super Sweet! I adore the cupcake connoisseur necklace, but would probably choose a name necklace with birthstone to give as a gift to a friend who's fixing to have her first little girl. i LOVE the love you to the moon charm. If I don't win, I'll buy it anyway! I left a comment on her blog about her Disney Ride photos! and I just called my sweet 82 year old mammaw to tell her that she rocked. After giving up on explaining what that meant, I told her I loved her and she "got" that one! Have a great weekend! Finally...my last entry, (sad face)....I am following her blog too! Thanks again for the giveaway! ~ Visited her lovely etsy shop. ~ Now following her blog! ~ Called my BFF, told her that she is AWESOME... and that she should check out your groovy giveaway! Went and left her some comment love! Visited the shop--loved it all. Favorites would be the love you to the moon and back and you are my sunshine. 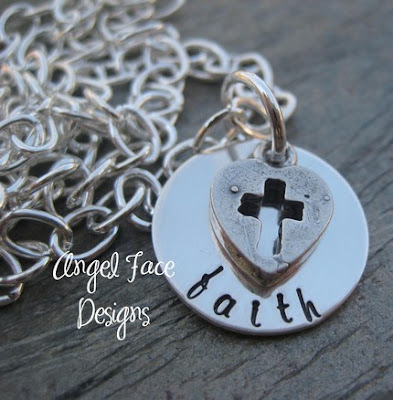 I really love the "faith necklace." I know it was the first thing on your blog, but I after searching her etsy shop - with all of her wonderful things it was still my favorite! Perhaps because I have been studying Romans for a Bible Study in fall. Anyway, that's my favorite. Thanks for introducing me to Angel Face Designs. I follow you like a shadow! I'm an Angel Face Designs blog follower now! All because of you - thank you! I left a comment on her blog post "New NEcklaces"
i think my favorite item is the cupcake connoisseur one! but i also really love the sunshine one and i'm a little conflicted. Love the pet lovers charm necklace! Did my last comment too soon! I LOVE, LOVE, LOVE the preschool rocks necklace too! I love the Mommy of boys circles that can be made into a necklace. I would LOVE LOVE LOVE LOVE LOVE LOVE one of those with my 2 boys names on it!!! My favorite item is Names around Heart Necklace. Left a comment on Angel Faces Design blog. 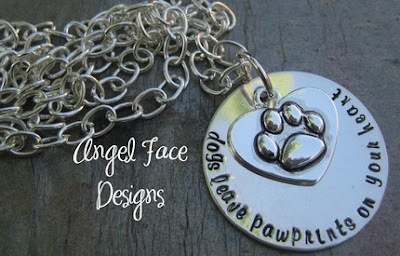 I am now a follower of Angel Face Design's blog. I just left some love for her on her Brownie post. I am now a very happy follower! Just called up a friend and chatted and reminded them of their awesomeness!! I love the Mom squared necklace. I have twin girls and I would love that. Called someone! Love ya Tara! I love the three disc name necklace. I'm pregnant with my third so it would be PERFECT! I'm following her blog and leaving a comment...so sign me up! I'm the daughter and sister of firefighters so obviously I love the "My daddy could save your daddy" necklaces. Maybe my brother and his wife will have a girl soon so I can get one for her!! I visited Heather's Blog and left her some love on her yummy brownie recipe! 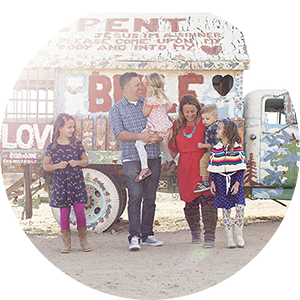 I'm also following Heather's blog! It's awesome! Oh my goodness, I love them! My favorite is "You are My Sunshine". I sing that to my son every nap/bedtime while we are rocking. So sweet!! I love the one that says ' I Love You to the Moon and Back' :) Great giveaway! I love the To the moon and back necklace! Awesome giveaway! I was a huge Jordan fan by the way. I even had a Jordan pillowcase I used to kiss good night every night.. I love the Open heart name and birthstone necklace. Her items are so pretty! I just left a comment on her yummy brownie recipe post. I can't wait to try it! I love the "I love you to the moon and back" necklace. That is a favorite book at our house. I left a comment about her yummy brownies. I love the necklaces! I have 3 favs....the preschool rocks (since my 4 year old starts preschool this year), the one with a name for each child and the I love you to the moon! I left a comment on the firefighters brownie recipe post! I signed up to follow Heather on Twitter. Awwww Heather's got "The Right Stuff":)in her shop. I love the "love you to the moon" necklace. That is my Noodle's favorite book. I love her work! My favorite is "my daddy could save your daddy with the fire hydrant" in honor of my father! I love you to the moon and back! So sweet. I love that necklace! Hi Julie! I left her a comment and followed her blog! Left comment love on her Disney pics! I called my best friend to tell her I much I appreciate her! We even made a "date" for lunch next week! Called my mom and sister. They are both amazing women! I am torn!! I love the cupcake one and the original moon design and the 2 disk with birthstones and I am sure there were many more I would LOVE to have...oh the wine glass things!!! And just a little side note- I have been a blog stalker for a little while and your quilt along pushed me over the edge and I fianlly bought a sewing machine!! Im STOKED! left a comment on her blog under the brownie post! YUM-O!! 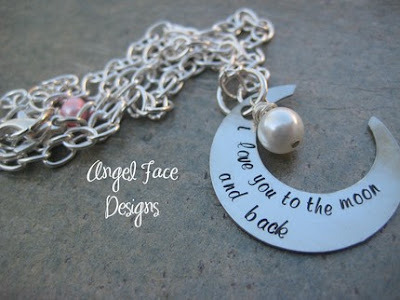 I loved the "I love you to the moon...and back" one! My daughter is obsessed with the moon and Guess How Much I Love You is one of her favorite books. So sweet! I love the "dogs leave pawprints on your heart"! Soooo me, gosh I love it. Following her on Twitter too! Called my mom to let her know she's awesome! Love her! Super cute, adorable stuff!!! I think my favorite would have to be the "I love you to the moon and back" necklace. I too say that to my girls!! I'm following her blog now too! :) Thanks! I have to say it's I love you to the moon and back. I love that one. It reminds me of my nephew whom I love to the moon and back. I really love the "to the moon and back" necklace!!! So cute! Visited her blog. Left a comment! Called my hubs. We just had twin girls (2 weeks ago) and I thought he could use some encouragement...sleeping has been rare! 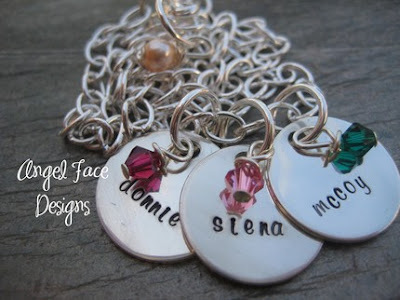 I would put my boys' names on the "Blingy Name and Birthstone necklace"
I love her work, thanks for sharing! called my mom earlier and told her she was great! names around a heart is my favorite!! The Rectangle Name Necklace is so classy. Definitely my fav. My fave is the 3 disc necklace!!! At first I was going to say the Faith one, ya know, loosing my daughter Faith in all, but the 3 disc offers a chance for all of my girls to be scene. Oh, I just love the fireman helmet. My husband would get a kick out of our daughter wearing it! Love the 3 disc name necklace. The cupcake is also really cute! i love the 'you are my sunshine' necklace. i left a comment on the brownie post. I like the Faith necklace. Beautiful stuff! I adore the Cupcake Connoisseur Necklace! Thanks for the chance to win. I left a comment on her blog about those yummy looking brownies! Commented on her brownie post! Left a comment on her blog about scented razors :) haha! I like the one that says Love You To The Moon And Back!!! So neat! Thanks! I love the names around a heart necklace! I love comment#5, that is the best! and it makes someone's day! They are all so cute, it's tought to choose just one...you are my sunshine, rectangle name, follow your heart & I love you to the moon & back are my favorites! Left some comment love on the angel face blog...I'm going to make those brownies tonight. Yum! I visited Angle Faces Etsy shop and it is a hard decision but I think the 3 disk name necklace is my favorite. Thanks for the chance to win. I commented on the brownie post on her blog. I absolutely LOVE these! My favorite is the I Love You To The Moon and Back necklace! Just called my hubby downstairs to tell him I love him! I think the I lve you to the moon and back is my fav! Names around a heart...those names sound familiar =)! commented on her blog...oh pick me!! Um...how can I choose just 1 fave? I love it all - really, I do. But, I must say that I am quite fond of the Names Around a Heart necklace & the I Love You to the Moon & Back w/ Names necklace! I just called my daddy and told him he is THE BEST - and, really - he is. There is no one else who can compare to him!! Would love to win this! My favorite is definitely the "Names around a heart necklace." Commented on her Nordstrom post. Following on Twitter and also Commented on her Brownie Post. Called my besty and told she is totally awesome. She got married yesterday and looked so beautiful! I am now a follower of her cute little blog! Called a gal I used to be best buddies with in HS...hadn't talked to her in WAY too long! Cupcake Connoisseur is my favourite - although they are all beautiful! I love them! I also became a fan on Facebook - which wasn't on your list but might count? No? I love these! My favorite is the Names around a Heart necklace. The birthstones necklace is to die for... cute cute cute!!! i love the mom squared, and the 2 names discs. Love the moon and back with the baby name. The "love ya to the moon" is a favorite. I want the You are My Sunshine necklace. I sign everything I write to my husband with a little sun like on that necklace, so it would be perfect! I am following the Angel Face Blog! Commented on her brownie post..>YUM!! Made that call...and the person loved it. Oh and it made me feel pretty damn good too. Thanks! Commented on Angel Face's book post. I love the open heart with names and birthstone necklace. Really I love alot of them, especially the font she uses on her pieces. Here's hoping I win. I love and I mean love her I Love You to the Moon and Back Necklace with Name Disc! It's simply lovely! I left her a little comment on her Cute Brownie Post! I follow her blog now! YAY! they are moving far away and traveling at night!